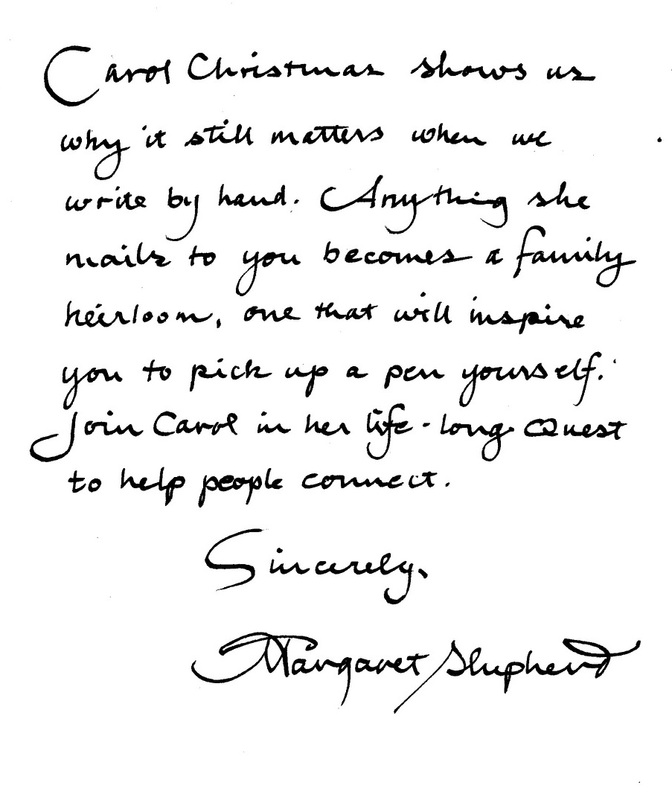 I am honored to have a encouragement for this project from Margaret Shepherd, whose calligraphy I have long admired. See my blog post, “Meeting Margaret“. Visit Margaret’s webpage.